Dreadlocks can be maintained or started by our hair artist Vanessa. Vanessa is experienced at tiding up your "locks" to be tighter, stylish and she can add color and artificial hair also. 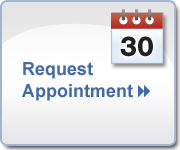 As dreads are a very individual look a consultation is required when booking an appointment as times will vary greatly. Vanessa can evaluate your hair at this time. And give a pricing guide as this service is charged by a per hour fee. Even size sections are taken all over the head and the dreadlocks are started to form the client is instructed how to get them to mature. Maintenance can be done by looping or latching by our hair artist Vanessa. Dreaded loops can be" braided in" temporarily for a fun look, either single or double dreadlocks can be applied, these are quick to install and re-usable. A more permanent synthetic dreadlock solution is created by creating the synthetic dreadlock around your natural hair. This is an extremely labor intensive process which takes up to 12 hours. These give a more polished, slicker smoother dreadlock and generally last for 2-4 months depending on hair types and maintenance. These are applied using synthetic hair which can be added in natural or fashion shades.